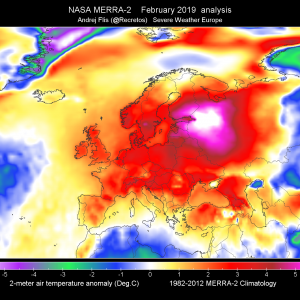 Europe is dominated by an extensive upper ridge while one upper low is placed above Iberia and another one over Turkey. N Atlantic and N Europe influenced by troughs and cyclones. 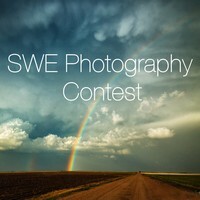 A deep cyclone travels across S Iceland. 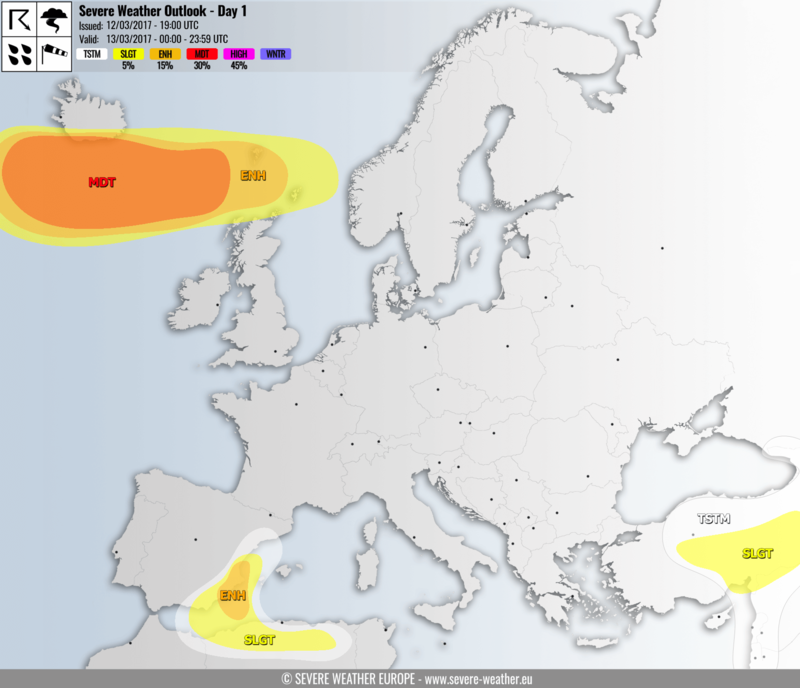 MDT/ENH risk areas have been issued for N Atlantic, S Iceland and Faroe Island with threat for severe to extremely severe winds, locally in excess of 140 km/h. A SLGT risk has been issued for areas surrounding the MDT/ENH risks with threat for severe winds locally in excess of 110 km/h. 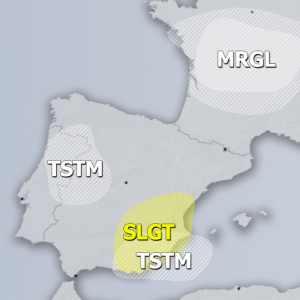 An ENH risk has been issued for SE Spain with threat for severe storms with marginally large hail, severe winds, excessive rainfall and lesser extend for tornadoes. A small cyclone will be rotating over an extreme SW Mediterranean, resulting in unstable corridor nosing into SE Spain through the day. 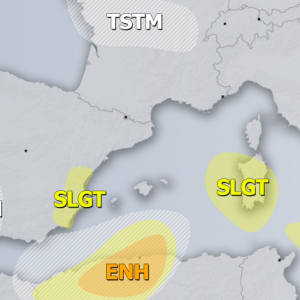 Persisting storms and ESE flow should result in excessive rainfall inland into SE Spain, locally near 100mm is possible. 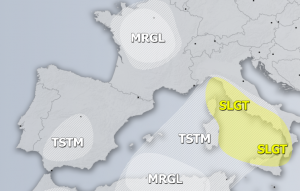 A SLGT risk has been isssued for areas surrounding the ENH risk and extended into N Algeria where some isolated storms are possible, main threat will be marginally large hail and severe winds. 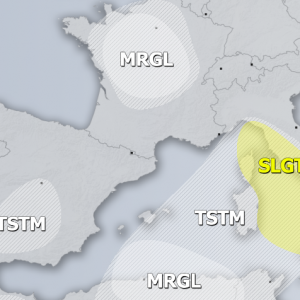 A SLGT risk has been issued for SSE Turkey for isolated severe storms, capable of producing marginal hail, torrential rainfall and severe winds.